The battlefields of World of Warcraft are littered with the bones of those who have become casualties in the ongoing conflict between the Horde and the Alliance. You do not need to become one of them. One of the keys to victory is knowledge, and that is where the World of Warcraft War College enters the picture. In these discussions between players, you can learn and share strategies with other players to improve your tactics and improve your odds of emerging victorious from the field of battle. Are you a veteran Gladiator with countless victories tallied? 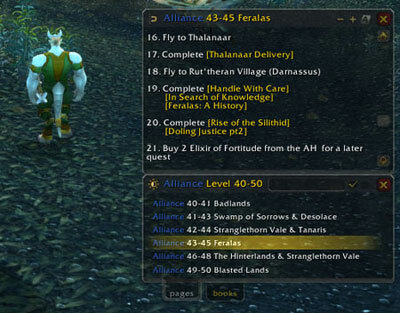 Are you new to World of Warcraft and striving to improve your PvP skills? In this weekly feature, we invite players of all skill levels to ask questions, share tips and tactics, and join a conversation dedicated to surviving and thriving in World of Warcraft PvP. Donâ€™t forget to up-vote forum posts that are on-topic and helpful! Eye of the Storm - Which strategies are most effective in this battleground for both rated and un-rated play? What tips, tricks and tactics have you discovered? What common mistakes have you witnessed? Join the War College forum thread here. Powered by WordPress. World of Warcraft and Blizzard Entertainment are all trademarks of Blizzard Entertainment. These terms, the rss extracted on this site and all related materials, logos, and images are copyright © Blizzard Entertainment. This site is in no way associated with or endorsed by Blizzard Entertainment.